The BMA is holding a student art extravaganza, with concurrent exhibitions of works from both Baltimore City and Baltimore County Public School students. For the past 28 years, the BMA has hosted an annual countywide student exhibition, Art is for Everyone, presenting the artwork of Baltimore County public school students from pre-kindergarten through 12th grade. The breadth of the county schools’ art program is highlighted by a variety of two- and three-dimensional artworks, including sculpture, photography, drawing, painting, and digital art. Now for the tenth year, the BMA hosts fyi…For Your Inspiration 2016, a citywide student exhibition presenting artwork by 400 students from pre-kindergarten through 12th grade at 90 Baltimore City public schools. Experience the creativity and imagination of Baltimore youth in a range of artworks using traditional and surprising materials and techniques. 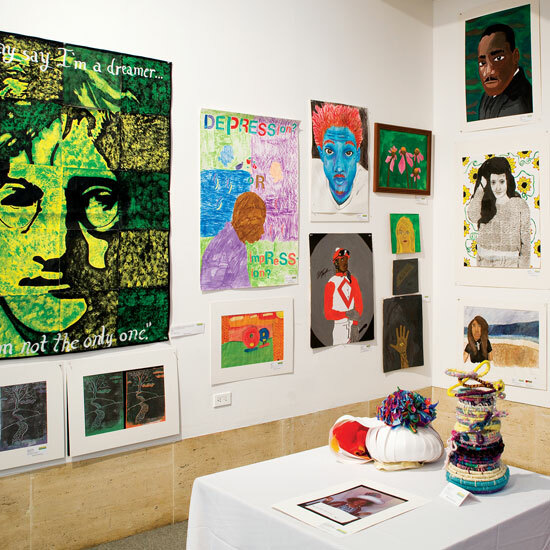 Baltimore City Student Art Exhibition, 2014.